I installed a set of LED aux lighting on the XR today. The above link is the manufacturer of a very high quality product. They are mounted on the forks and dimmable. I used the high beam wire as a trigger to a relay which turns the lights on full blast only when I use the high beams..other wise they are on dim so I stand out in traffic. Can take pictures or ad advise if anyone needs or wants it. Already figured no way to mount up on bodywork unless you relocate the blinkers. Curious to see how that fork install looks, toss up a picture and show it off. Can take pictures .............. if anyone needs or wants it. Pics would be good, we want to see em ! I wonder if BMW will develop a mount for their led spotlights? I'm kind of hoping BMW designs a nice LED light bar that fills in the area just below the beak. Could offer a nice spread of light and if done well, clean up the chin on this bike nicely. 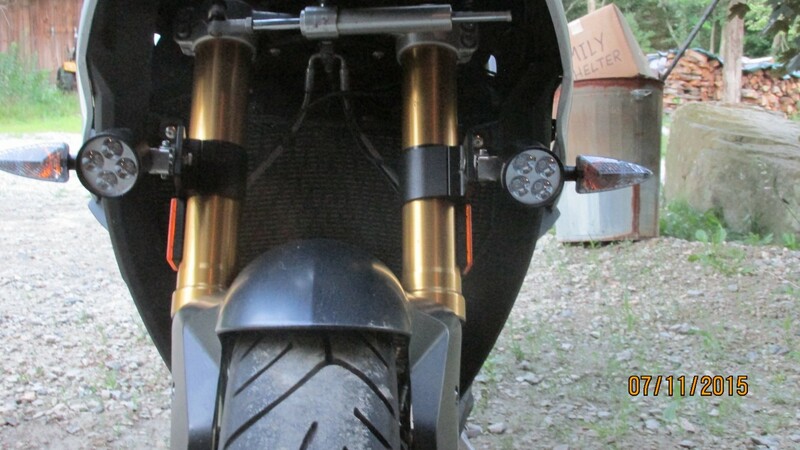 The above website makes a light bar that is also very good and will fit between front forks on bottom of "chin"
Hey FT, I am not great with posting but added a couple of photos...one to my original post and another below. I will get it right eventually.. 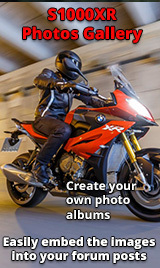 If BMW could confirm that their LED spotlights from the GS could be activated via the bikes computer, I'm sure a decent fabricator could make a bracket to attach them to. I'd be surprised if they aren't offered as an accessory soon though. I have a guy that does wonders working with metal and will be designing for me an auxiliary light mount - for the nose/chin of the XR. Very similar to the nose mount offered with Clearwater wildly expensive lights. They don't seem to sell the brackets separately. 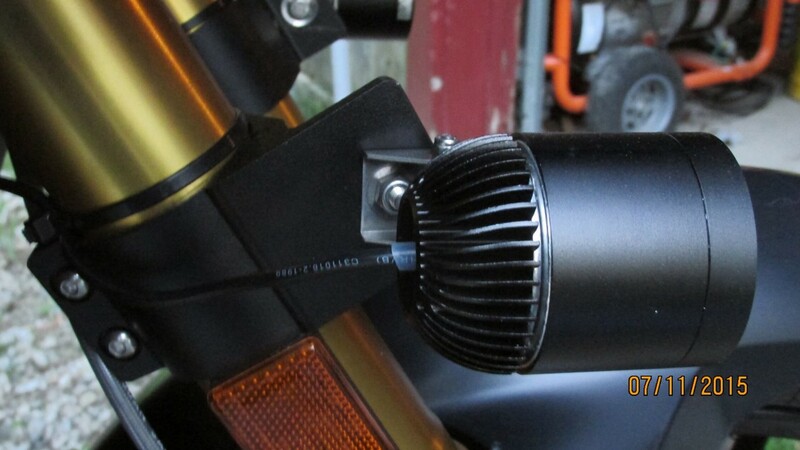 I've purchased my lights from LEDrider and they are the bomb - but unfortunately, they don't make brackets. So - going to the drawing board. I have no idea on cost, timing or what, but my guess is my fabricator is going to ask me if there is any real interest in purchasing brackets (first set is the most expensive - after that.... it is easy). So -- even without the cost information -- is there any interest from this group? No commitments till we determine the engineering involved, but he has done several different auxiliary fuel cells for friends and they have been very reasonable. He does quality work, using good materials - basically hand made. I'm in....Fairly decent at fabricating, but my work isn't quite up to scale for a decent look. Would love to have something mounted on the tubes. Let us know more if you can.